Sister Consolata is dead, the first nun of Casa Sollievo della Sofferenza a hospital established by Padre Pio. 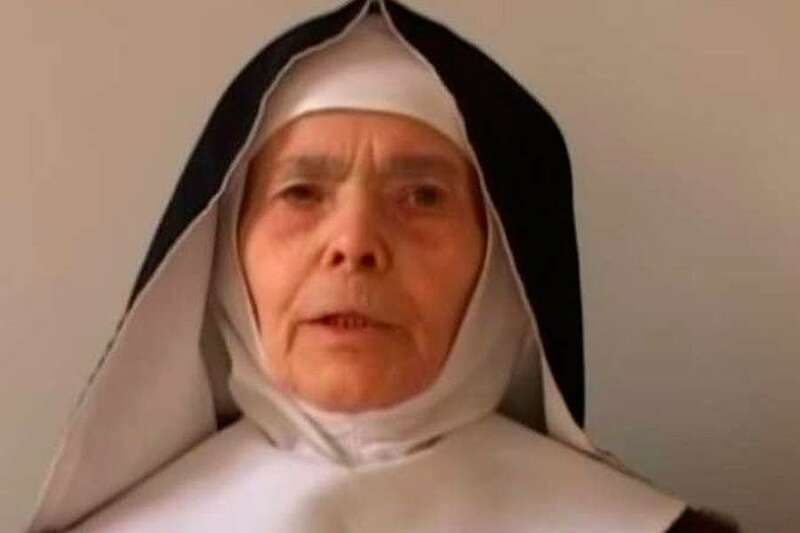 Sister Consolata di Santo, nun Clarissa, class of 1916, spiritual daughter of Padre Pio, flew to heaven yesterday in the cloistered monastery of the Capuchin clergymen of Rome. Last of 10 children, she was born in Santeramo in Colle in the province of Bari on 10 April 1916. She was six months old when her mother, before dying, told the priest that he was laying his hands on her head for the anointing of the sick: « I leave the Madonna as his heir to my family and ask the Lord for the grace that all my children are consecrated to God ". So it was. All consecrated. On September 21, 1936 he entered the convent, among the Sisters Apostles of the Sacred Heart of Jesus, the nuns that Padre Pio wanted in the Casa Sollievo della Sofferenza to serve among the sick. He arrived in San Giovanni Rotondo on September 23, 1955. Sister Consolata in her simplicity also recounts the first meeting with Padre Pio: "The next day Father Carmelo accompanied us from Padre Pio to the convent. We waited in a room of the guesthouse. From a small window, which communicated with another room, we heard a knock: it was Padre Pio. We tried to open the window but we could not, so that from the other room came the guardian smiling and unlocking the hook that allowed the window to open. Padre Pio, looking out, with a beautiful smile and a joking tone said: "How will you cure the sick if you have not even been able to open a window?". Then, looking at the nuns, one by one he uttered the words of encouragement: "Do not worry, other nuns will come", and so it was. On the day of the inauguration of the House, we were 15 Sisters ". It was November 3, 1955 when he first confessed to Padre Pio. After confession, he cried: it was a mask of tears. Sister Consolata said that after the confession was about to receive the blessing and looking at Padre Pio, he said to her: «" Ah well, are you? you had them solemn (the beatings, waving with your hand, n. a.) this morning ". It was my first confession and I asked him: "Father take me as his spiritual daughter", and he replied: "If you behaved well though!". It was my salvation, after Jesus and Our Lady ». In 1959, when Padre Pio got sick, Sister Consolata was hospitalized and housed in the room next to that of Padre Pio, when the saint spent the night between 1 and 2 July 1959 in Casa Sollievo: "And when Padre Pio came ... .. "I could hear his breath from my room". When he returned to the convent, before leaving, he passed in front of my door and said to me: "How are you, Consolata?". And I replied: "But Father, ask me? how are you? Eh? ". "If I was not for you, poor to you," he said. I hugged him and kissed his hands: an unforgettable encounter ». Sister Consolata lent her service in Casa Sollievo della Sofferenza, in the service of the sick, from 1955 to 1975. She was 59 years old when she entered into a cloister among the Capuchins.